Is ready to begin the work of an Order Member: Sangha building and support, explaining the Dharma from personal experience, and nourishing the bodhichitta (the mind of love) in others while maintaining a regular meditation practice in harmony and peace with one’s family. To promote consistency in mentoring and ensure that mentors and aspirants are supported, the North American Plum Village Dharma Teachers Council asks that everyone in North America who is pursuing formal acceptance as an Order of Interbeing aspirant use this application. This application assists your local Sangha and supporting Dharma Teacher as they begin formal mentoring with you. In deciding whether conditions are ripe for formal acceptance and mentoring to begin, your mentoring Dharma Teacher will use this form and consult with your sangha and any other OI Mentors as appropriate. In regions other than North America, procedures for mentorship and aspiration may differ from what’s included above. Please consult with your local Order members to determine the process. In a region in which the Order of Interbeing has been established for many years, Dharma Teachers and Order Members may be available to train and support aspirants; and a community of Order Members that meets regularly for recitation ceremonies, study, and days of mindfulness. In other regions an aspirant may have to travel a considerable distance to practice with an Order Member or Dharma Teacher and the training of aspirants may function differently. 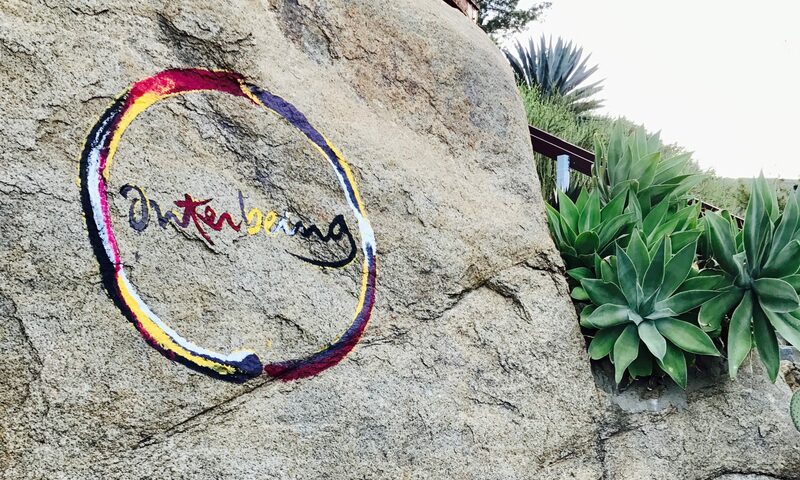 The best place to begin is with a local (find a sangha) where you may be able to connect with other Order of Interbeing members. Order members can serve as mentors to you in the process. If a local sangha does not exist and you are still uncertain where to begin, you may write to us using our Contact Form and selecting webteam and we’ll do our best to provide direction and support. I would like to begin the process of being an aspirant, but there is no sangha close to me. Can you help me to begin? Paul: Can you tell me your general location? Also, have you had the opportunity to be on retreat (in our tradition) and taken the Five Mindfulness Trainings? Kenley: Thank you so much for your reply. I live in mid-Michigan, about one hour north of Flint. I have not been able to attend a retreat, though I would love to do so. I do have a consistent home meditation practice and each day I recite the Five Mindfulness Trainings as part of it. Paul: A consistent practice that involves the Five Mindfulness Trainings can be very nourishing. The same can be done with the Fourteen Mindfulness Trainings too. If you have an opportunity to practice with a sangha, this too can help strengthen your practice and connection. In our tradition, one must formally receive the Five Mindfulness Trainings in a ceremony with a dharma teacher before formalizing an aspiration for the Fourteen. I realize this can pose a burden for some people and there aren’t always good solutions. What I have observed is a sangha in remoter locations may host a Day of Mindfulness and invite a dharma teacher to attend. With the dharma teacher present, a ceremony to receive the Five may be conducted. Given your location, there should be some opportunities for this in the region from time to time. That is great advice. I will look for those opportunities over the next couple of months. Best wishes. SImilar situation to Paul…looking for a sanga in Billings, Montana. Can you help? Hi Kevana. My recommendation is to browse the USA Sangha Directory – I’m certain there is something in Montana, but not sure about Billings itself. Did you get the help you need? Where do you live? Never mind…I found it. There’s actually one right here in Nashville. Thank you! Does anyone know of a sangha near Omaha Nebraska? I would really like to get started on practicing in this tradition. Thank you. Edward: Please try contacting Mike McMahon at 402-558-3112 about a sangha in Omaha. A woman named Reba Smith has a sangha in Las Cruces. Her number is (505) 522-0691. There are also groups in Silver City, and Truth or Consequences (just to name a couple in southern parts of NM. I hope this helps. I am also interested in being an aspirant, but I don’t know if there is a sangha here in Seattle. I am taking an online course with Sravasti Abbey, but may not choose Tibetan Buddhism, as I am more attracted to Zen. The sangha in Seattle is very rich and active. My recommendation is to begin with the dharma teacher (Eileen) at Mountain Lamp. Though it’s a little further afield, she can help you find the right people in Seattle. I am ready to begin on the path, but there does not seem to be any teachers near me. I am in a small, rural community near Erie, PA. Can you help me? Hello, I am in Melbourne Victoria Australia & cannot find a local sangha to connect me with Order of Interbeing members. Can you help me? Hi Debra, My nme is Susan, and I pratice with a very nice Sangha in melbourne. In fact, there are two active Sangas in the City. For one of them the contact is Julia Byford 0414759670, and for the other it is ian Roberts 0419581784. We also have 4 nuns on Thay’s at our fledgeling retreat centre in Beaufort, past Ballarat. If you google Nhap Luu Meditation Centre, or Entering the Stream meditation centre, you should come up with our blog at least. Hope to see you at a sitting in melbourne( i sit with ian’s group), or at Nhasp Luu. I go there quite regularly. Thank you Susan. I have been in touch with Ian & have sat with that Sangha on two occassions…hoping to go again…perhaps I will see you there. Hi – I was wondering – I am a Christian by upbringing. I appreciate Jesus as a teacher but I am ambivalent towards some of the doctrines of Christanity. I really value the mindfulness trainings and try to live by them. Do I have to renounce Jesus to take the trainings and/or become an aspirant? I hope it will be of help! hello Brad, At retreats and in local sanghas we have many practioners from many religious traditions, including Christian. If anything the practice mindfulness and the mindfulness trainings might help strengthen your appreciation of your religious roots. I know this has been true for many including myself. Does anyone know of a sangha near Luxembourg, Europe? I am living in Bloomington, Indiana and would very much like to practice in the Plum Village tradition. Can you guide me as to the best course to take? I see there are three sanghas in Indiana (http://www.mindfulnessbell.org/directory/search/United-States-1/Indiana-16). I suggest reaching out to the contacts for each sangha, and getting details on when they sit. Two of the sanghas are in Evansville, which is pretty far from you, though you might consider travelling if there is a day of mindfulness. The sangha in Terra Haute is closer, and you might be able to travel there for regular sits. Finally, many Dharma Talks by our teacher are linked from the above web sites, as well as from the Plum Village web site, http://www.plumvillage.org. Can you please advise if there is a sangha in Victoria, Australia? Many thanks! So feel free to make email contact and we can go form there! Hi friends out there! I`m an aspirant to the order of interbeing living in Sweden. My opportunities to share reflections on the forteen mindfulnesstrainings and of being an aspirant with other aspirants “live”are very limited. I have to go to Norway to do so. Our sangha here in Stockholm is small and has no dharma teacher, order members or aspirants apart from me. Is there anyone out there who would like to be my “penpal”? Description The Mission of Mind-Body Wellness is to empower people to be stewards of their health and well-being through relaxation training, awareness training, wellness education, and access to health and wellness resources. Mind-Body Wellness offers courses and workshops in mindfulness, qigong, resilience training, Zen meditation and biofeedback. Dear friends, i am a Danish woman,63, and live the last 14 years on a small beautiful greek island in the Northern Aegean Sea called Skopelos. i have learned to look for support and likeminded over the internet, because to my knowledge there is no TNH sangha in Greece. i am disposed to try to build a sangha here. Until now i have found 2 local Americans who sympathize, but cannot attend regularly. As you understand from the circumstances it has not been possible to receive support from any local sangha or dharma teacher. Do you happen to know of anybody who follows TNH in Greece? On my website Cleansing the Mirror (page “Ways”) i have put the 5 and the 14 mindfulness trainings (i live myself following the 14), as well as much more information about TNH (and veganism, and music, and much more). i have a quiet and wonderful space here, 4.000 m2 overlooking the sea, and could imagine maybe to host a small retreat. I have been practicing in the TNH tradition for 12 years, and have received the 5 mindfulness trainings, and the Three Jewels. I would like to be mentored, and to start the process of becoming a member. I am currently in a small sangha in a rural town in the outskirts of Oklahoma. We are a newly formed sangha (because the other sanghas are too far away for most of our members) and feel it would help us to have someone who has been mentored in the tradition. Any information on who I may contact who might be willing to mentor me would be great. Dear Paz – what a wonderful opportunity to be in the world and to practice the dharma. My suggestion would be to continue your practice, continue your study, make effort to build sangha wherever you may be, and practice “as if.” The Fourteen Mindfulness Trainings are something that anyone can study and apply to their lives and when the time comes to formalize that aspiration, the opportunity will appear. The challenge of travel isn’t always an inhibition to that aspiration, but just makes it a little more interesting. I am an Order member who mentors aspirants in Southern California. If you like, you may write to me privately from time-to-time and, if you are patient, I will make an effort to reply. Post a message at http://about.me/kenleyneufeld and I’ll let you know my regular email address. I would very much like to be mentored in the practice. I’d also like to create local sangha. I live in Potsdam NY. Thank you. Im in orlando florida looking for a sangha. can you provide me the correct info for the sangha i should choose. i would also like a contact person’s name so i can begin to study the 14 mindfulnes steps and join a sangha. Many sanghas are listed on the internet for my area but i want to be directed to the one that teaches in the Thich Nhat Hanh tradition. I’m looking for a mentor. I would check the official directory, in our tradition, at http://www.mindfulnessbell.org/directory/index.cgi and just pick one to attend. The one in Orlando is led by an OI member and it probably as good a place as any to begin. If not, I’m sure Bob can point you in other directions. It doesn’t look like you are too far from Pittsburgh (though I am from California so my views are skewed). I’d recommend you start by contacting someone at the Laughing Rivers Sangha. In fact, they have a retreat coming up at the end of the month and that’d be a good opportunity to connect with the community in your state. I am interested in being mentored as well. I live in a rural setting in the state of Iowa – USA. A good place to get started in Iowa might be Quad City Meditation or the Des Moines Meditation and Mindfulness Group. Hello! My name is Davor and I am from Croatia, Europe. I hope that you can help me, although I am not from USA. I have been practicing the Buddha Dharma for the last 15 years, and three years ago in the Plum Village I have received the 5 mindfulness trainings, and the Three Jewels. I would like to be mentored, and to start the process of becoming a member of the Order of Interbeing. As there is nobody in my country who practices in this tradition I kindly ask you to guide me to someone who can mentor me in the practice and/or to instruct me about what to do next concerning this matter. My e-mail address is zajednicasubivanja@gmail.com. Dear Davor. I imagine it can be tough to make sangha connections in a country without others practicing in this tradition. There are some people who do support remote mentoring, my recommendation is trying to connect with someone in a neighboring country who is a dharma teacher. Perhaps invite that person to Croatia to lead a Day of Mindfulness. I’m pretty certain there are teachers in both Austria and Italy. In fact, I think Italy has a pretty strong sangha presence. I will send an email to the two Italian teachers I know and alert them to your message here. Dear Kenley, I very much appreciate you contacting some of Italian teachers. I will wait, at least for a while, for somebody to contact me, if that doesn’t happen then I’ll search for some contact info on the internet, as I don’t posses any personal contact of some near centers or teachers. I met one lady teacher from Italy in Plum Village which I liked but miss the opportunity to take her address. I would very much like to invite some teacher to lead a day of mindfulness in Croatia, but at the moment I am too weak on the financial side, I hope to solve that by the end of the year. Thank you once again! I received a confirmation from the Italians and they will be contacting you. In fact, there is a Croatian try know (in Vienna I think) who is an OI member. How lovely that you received the Five MT this past year at Deer Park with our Teacher. No doubt it was a powerful experience with the energy of many people being present. Our recommendation is at least a year of practice with the Five before embarking on a formal aspiration of the fourteen. The best place to begin is with finding (or creating) a local sangha. I notice you are Indiana and I know we have a sangha in Evansville and Terre Haute. I hope one of those will help get you started. I’m not clear how this posting works. I thought I just sent a message but maybe not. As I wrote, I received the 5 MT on 9/11/11 at Dear Park from Thay and now wish to be mentored in the Order of Interbeing. I am in a local Sangha and have been for years. This is a public posting environment and all OI members are encouraged to read and support the posts. However, in many cases I respond to the messages because I check the site more frequently. Working with your local OI members is going to be the place to start, especially if you already have a sangha. I am seeking a Sangha and mentor. Please help. Dear friend. The best place to begin is finding a sangha that might exist near your location; use the “Sangha Directory” link under the aspirant menu above. Hello, I´m Mauricio from Argentina, in South America. I´ve been practicing buddhism on a local Zen Center, and when I discover the teachings of Master Thay, I fall in love with them. I´m looking for a sangha, but I guess there´s nobody near Mendoza (my city) practising… I would like to be mentored in my practise. Please help me! I looked at our sangha listings for Argentina and didn’t see any listed. However, there was one contact name and maybe you can reach out to him. Manuel Linares (sanghaargentina@gmail.com). Dear Kenley, as posted up here (in reply to Mauricio), please know we have opened a sangha in the PV-TNH’s tradition in Buenos Aires, Argentina. We are also in contact with Manuel Linares but that email, I think, is not active. We’ll soon have one specifically for our sangha but, for the time being, mine is open to whatever needs related to the practice may show up. Taking advantage, may I please ask for your advice. I am deeply interested in formally postulating myself as an aspirant for the OI. I have received the Five Mindfulness Trainings in PV, Aug.2012.- But there are no Dharma Teachers in Argentina. Can you help me with this, please ? Wishing you Peace in Every Step, Eduardo – Growing Gratitude Of The Heart. Dear Kenley: our new email address is: . I have already sent an email to Lesley (Mindfulness Bell) informing about it, so I guess in a few weeks time it will be published in the Directory. A lotus for you. Dear Mauricio, we have opened a sangha, Sangha del Buen Ayre, in Buenos Aires., following TNH’s tradition. I know it is far away from Mendoza, but if you ever come to Bs.As. you will be very welcome. We are planning a Mindfulness Day on 13-4-13. It would be nice practicing with you. A lotus for you, a Buddha to be. Eduardo (Creciente Gratitud del Corazón). Hola Mauricio, we have recently opened a Sangha in Buenos Aires. I know its far from Mendoza, but here we are, open to practice with you. The Sangha follows Plum Village, Thich Nhat Hanh’s tradition. It is called Sangha del Buen Ayre. As a matter of fact we will have a Mindfulness Day on 13-4-13. please, feel free to contact me at my personal email address: Looking forward to practicing together, a lotus for you a Buddha to be. Un abrazo Eduardo – Creciente Gratitud del Corazón. Want to be mentored very much in the practice. There is no sangha close to my area in WA of less than 15 miles, one way. Have applied to join the online sangha for support, but a mentor would be of much help. Thank you. What part of Washington are you located in? There is a very wonderful group of practitioners in Washington, but don’t know how convenient it would be for you. The lead dharma teacher in Washington is Eileen Kiera and she is just east of Bellingham. There is an on-line Sangha?? How to contact?? A good place to start is with Plumline. i am in front royal, virginia USA-is there a sangha nearby? i am a christian man. Thanks, r.
This past weekend (May 20th, 2012) I vowed and committed myself to the 5 Mindfulness Trainings with Cheri Maples (an extraordinary honor!). I’m earnest to start a sangha in the Eagle River/Rhinelander, WI area with a fellow follower. I live in St.Augustine fl and the nearest sangha is all the way in Gainsville are there any members who could mentor me here? Dear Rachel. I am living here in the Northern Suburbs of Perth looking for a sangha. Perhaps we can begin together. I have searched for over a year. It was a blessing to find your post here. I practice in Sydney with a few Sanghas here. There are Sanghas in Melbourne, Sydney, Brisbane & Adelaide & we have a monastery in country VIC. If you want some support setting up a Sangha in Perth we can help. Hi. My name is Scott Overton and I live in Des Moines, Iowa. After practicing for 7 years without any formal teachings I would like the opportunity to be taught by sangha members of the OI. I would like to take my study further. Where do I start? P.S. I am located in Prescott Valley, AZ. I would be interested in starting a Sangha. The nearest one that is listed on your site (in Chino Valley) no longer exists. The contact information is void. Hi Rhonda, I apologize for the super long delay on responding. If no sangha exisits, then start one. Ideally, you would find at least one other person to start with you so that it’s not a solo effort and so it’s not discouraging. Maybe put an ad in the local paper or a sign at the local store. Ask around for people who are interested in meditation and then set a day/time to meet. Keep it simple. Have you received the Five Mindfulness Trainings? Were you able to make any sangha connections from that experience? I would like to know how to begin a sangha as there are no groups practising here in Perth, Western Australia. I look forward to hearing from anyone who wishes to help me with this or anyone who can share their advice in beginning a sangha. I would like to study under a mentor, but my schedule does not allow the necessary time needed to meet with the local sangha. I am in the Atlanta area. What options do I have in such a situation? Hi Lawrence. I have forwarded your message to one of the dharma teachers in your region and my hope he can respond directly to you. I’d start with someone realitively close by (but probably very far from an NB perspective) and that’s in Halifax. Check out the Waves and Water Sangha and see what they can offer in terms of support to get you started. Hi! My name is darius and i currently live in Boulder, Colorado, where I attend Naropa University. There doesn’t seem to be a sangha here, so I would greatly appreciate some guidance in finding someone who might be able to mentor me. Blessings. Hello Darius, I am a recent graduate of Naropa and an OI since 2006. I currently live at Deer Park Monastery and am still mentoring OI aspirants from Boulder, Denver, and Colorado Springs. Some have shown interest in our Young OI Aspirant group. There are several sanghas in your area and maybe three OI members of about 14 OI who are mentoring. Give me a call 702-461-8422. I am interested in learning more about how we can support you. You may also e-mail me at retreats@briankimmel.com. I would be happy to introduce you to the sanghas. Hi Marcos. The Las Cruces contact is Reba Smith – reba@zianet.com – (505) 522-0691. Perhaps Reba can provide some local support and direction. Here’s the reply again. Hi Marcos. The Las Cruces contact is Reba Smith – reba@zianet.com – (505) 522-0691. Perhaps Reba can provide some local support and direction. I have been reading and studying the writings of Master Thay, as well as taking the 10 Gates Winter Course on-line. I am very interested in being mentored. I now live in Costa Rica, but we travel to Reno, Nevada so I could possibly do something with someone as a combination of personal meetings (when in Reno) and otherwise via SKYPE. Thank you for your help with this! Let me see what I can unearth to help you with your aspirations. When did you receive the Five Mindfulness Trainings? Have you attended any sangha in Reno or Costa Rica? Tried to reply this a.m. But it didn’t post. Anyway..there are no Sangas here in CR. i am willing to start one. There is a Zen one in San Jose but that is a 4 hour drive and they are not OI. In Reno…I have been in touch with Craig from Sparks and they have a small Sanga…2 to 5 folks….I plan to practice with them when in Reno…..but he is not a mentor or Dharma Teacher. Have not yet received my Five Mindfulness Trainings…would LOVE to do so ASAP. Suggestions on that?? Am planning to go to one of the retreats or meetings when Master Thay is in the US in 2013 but that won’t be til Sept or Oct. I would encourage you to find some friends in Costa Rica to sit with and explore the dharma together. If you contact the Thich Nhat Hanh Foundation, they have a sangha startup kit. Receiving the Five Mindfulness Training usually happens at any retreat and aside from continuing to practice, that would be a requirement to receive the fourteen mindfulness trainings. Thank you!! Ordered the Sanga kit last evening! Will stay in touch! I believe in the 14 Mindfulness Trainings and would like to become a part of the Order of Interbeing.Also, I have read many of the works by Thich Nhat Hahn and daily read from The Sutra on the Eight Realizations of the Great Beings.I practice Mindfullness daily.I live in Wilmington,North Carolina.I would appreciate any guidance you could give me. I recently joined a practice group that has now disbanded in Salt Lake City. My friend and I have decided to start a new practice group here. We just returned from our first retreat at Deer Park Monastery. We were not able to formally receive the 5 Mindfulness Training’s nor formally take Refuge while there unfortunately. Any Dharma Teachers that we could keep in touch with and be mentored by would be greatly appreciated. Hi Joshua: I have directed your question to an Order member I know who lives in Utah. I hope you will hear from her soon. Hi, I live in Carrollton, GA and I would like to join the Order of Interbeing. The Heart of the Buddha’s Teaching has changed my life. Hi Robert. Thank you for your interest and your aspiration. This is wonderful. Can you let me know if you already have a local sangha in the region? Do you know if there are any OI members already? How far are you from Atlanta (I’m in California)? And finally, have your already received the wonderful Five Mindfulness Trainings? Hello im johnny. I don’t believe their a local sangha in chickamauga.and don’t know any Oi members loca l will I still qualified. Hi Johnny. What state or country is this located in? Hello Hilary. The aspirant application should be shared with your mentor and dharma teacher (doesn’t need to be mailed anywhere as long as they each have copies). As for the letter to Thay, simply send it to him at Plum Village – Upper Hamlet. I also recommend sharing a copy with your mentors. Hello. I’m interested in joining the Order of Interbeing, and I consider Thay to be my root teacher. However, there does not appear to be a Sangha here in Indianapolis. May i ask for contact information for someone in Indianapolis? Hello John. Thank you for the question. Yes, there doesn’t appear to be one in Indianapolis (though might be unlisted) so I suggest contacting the next closest one to you in Terra Haute. They might now somebody in Indianapolis to help. The contact in Terra Haute is Maxine N. Carter (foxridge@gte.net). If that doesn’t work, please let me know. In fact, I’ll be in your city next month for a few days so could possibly meet for coffee. I’d love to meet for coffee. When will you be in town? The email address for the TH contact bounced, I’m afraid. You are certainly pretty far north in Canada. I will send a message to two dharma teachers in Canada, though neither are particularly close to you, and hope that one can provide some direction for you. The names of the two are Jeanie (in BC) and Ian (in ON). Though I am still a long way from BC, it would be possible to get there for retreats etc. as I could drive. Ontario is a little far for face-to-face time but I could save for necessary flights. I appreciate your help. I hope Ian or Jeanie can provide some suggestions as they are sangha leaders in Canada. In my review of the Order directory, I did see one Order member in Edmonton as well (though no sangha listed). I note there are sangha in Calgary, Canmore, and Lethbridge in Alberta but perhaps there are no mentors there? Hello to all, I’m a youngish grandmother of two, have been practicing by myself for just over a year through Thay’s books and Dharma Talks on the Internet. My partner and adult children are not interested in the practice, and I would think that they are representative of many. I would like to know how I could go about getting some counseling/training on how to convey the beauty of the teachings and practice to those who are closed to it. Though I am happier inside than I have been since I was a child, I am sad for others, especially my grandchildren, and it is hard practicing alone in silence with so much joy to contain. (My partner and I live in a rustic cabin in the mountains of Colorado, 25 light-years away from civilization.) Any guidance you could give would be so very much appreciated. Now I see that these messages are older messages, so you might not receive any of what I am writing! Many thanks to our dear teacher Thay and to all of you, i am finding my questions answered. Here is what i’m understanding with regard to these questions. My apologies, Kenley! I’ve done this once before – put forth the question when I already knew the answer, or found the answer shortly thereafter. I need not have posed the questions here – for, so far, without exception, I have found my every question answered beautifully,clearly, with grace. Thank you anyway. A lotus to you. Hi Adrienne – I do receive the messages but don’t always have the time to respond. My apologies. I am happy to know you are putting forth questions and reflecting on our practice with us. Many suffer when the family does not participate in sangha and we learn to practice for them. We try to live a beautiful and happy life that they will see and also benefit from directly. They don’t need to practice when they can benefit from you solidity. Thank you, Kenley! I like that very much, “to practice for them”. I will learn to do this. I live in Madison AL and I am interested in joining or starting a Sangha here. Can you help me get in contact with any people locally? Hi Elizabeth. I’m not certain where Madison is located, but we do have a sangha in Birmingham and in Mobile. This is certainly a place to begin and you can find their contact information in our USA Sangha Directory. You might also look at the Sangha in a Box resources. I have no idea were to go from here; I live in a very small town in GA. But I love nothing more than joining the interbeing!!! Hello! My name is Nick and I live in Hot Springs, Arkansas. There is not a local Sangha here and I can’t drive so I rarely leave Hot Springs unless it is on the grey hound bus to go home to indiana from time to time. I have done what I can on my own and have read all of the books of Master Thay that I have been able to find locally but I am unsure as to how to further my spiritual growth. I need some help in finding a mentor. Please help if you can! I am not aware of any sangha or mentor in my region. For myself and Trinidad and Tobago, my country, we need this. Hi Shana – I encourage you to start a sangha and seek out some help from the Thich Nhat Hanh Foundation who has a resource kit to help you begin. Hello Carla, We are Dharma teachers living in Portugal and we would be happy to support you. Please contact us by email: hulshoffpol@sapo.pt. Hello: It’s wonderful to see all those who seek to join or start a sangha to support one another. My question is similar to those already posted. I live in Sault Ste. Marie in Northern Ontario and attended Thay’s mindfulness retreat for Educators this past August in St. Catharines. I have connected up with 3 others who attended and I know at least some of us took the 5 mindfulness trainings. We want to meet and support one another in our practices. But we are all such beginners! Would we even qualify to form a sangha? And is there any access to more experienced input as we aspire to follow this path? Meditation can be an intense experience – at least in my experience as it tends to increase awareness of both beauty and personal shortcomings. Any input greatly appreciated! Could we for instance affiliate ourselves with a centre with monastics present to consult? Yes, if you are inspired by the practice and have taken the Five Mindfulness Trainings (5MT), it would be very very beneficial for you and your friends to begin a sangha! It is so important to come together to support our practice and to recite our 5MT regularly to maintain our transmission, our deep connection to our aspiration. It is not a question of “Qualified or Not Qualified”. It is a question of “What is truly important?”. Thank you Marty. Your response is very appreciated. Hello, I received the 5 Mindfulness Trainings at Deer Park in October. I am so inspired and would dearly like to connect with an OI member in my area. I live in Humboldt County, CA, and when I emailed the two sangha’s listed for this area, one email was bounced back, and the other was not returned, so they may both be defunct. I wonder if there are any members of OI reading this that may be interested in mentoring me and maybe coaching me in starting a local sangha? Thank you for reaching out. Though I’m not in the far reaches of northern California, I know there is an OI member is Shasta leading a center there and a dharma teacher who lives in Ukiah. I’ll drop them both a note about this question and see if they can respond too. Alternatively, I encourage you to start a sangha and seek out some help from the Thich Nhat Hanh Foundation who has a resource kit to help you begin. I am interested in becoming an aspirant. I go to an online sangha on google plus because I live in a remote area and the closest ashram is two hours away, buddhist meetings…three hours away. What are your recommendations? Hi Renee. Thank you for writing. Can you give me a general sense of your location? Have you taken the Five Mindfulness Trainings in our tradition? Thanks for responding. I live in Saint Marys, PA about two hours from State College, three from Erie and Pittsburgh and five from Philly. I listen to the five mindfulness trainings during the online sangha. Renee, I know there are many sanghas in Pennsylvania but know that it’s a big state and doesn’t reach everywhere. Have you thought about starting up a local sangha in your community? As for the Five Mindfulness Trainings, this is the first requirement to move in the direction of being an aspirant for the Order of Interbeing. Perhaps we can find a way to connect you with some regional activities that could allow that to happen? yes please…I would love to be connected. Thank you! I am also living in PA and what a big state. There are two main clusters of sanghas in the state: around the Philadelphia area and around the Pittsburg area. There are others, but I don’t think we have a complete list of active PA sanghas yet. I am part of a small group that is working to network PA sanghas. We are in the process of building a website as a networking hub. Come and visit if you would like. It is far from finished (heck, we have just started). There is a section called “Sangha Building conversations” were we could chat (again, if you would like). You would be our first visitor! Is there a way to get the Five Mindfulness Trainings from Thay? Hi Alex, if a person wishes to receive the Five Mindfulness Trainings directly from Thay then you’re best opportunity will be at a regular 5-7 day retreat. It’s not always certain, but most of the big retreats will include a transmission ceremony. Hello, My name is Pat Burke. I received the Three Jewels and the Five Mindfulness Trainings from Thay in October 2009 at the Enlightenment Now of Never reatreat at Blue Cliff Monastery. Since then I have shared the Five Mindfulness Trainings and practice with my community in twice meeting weekly over a six week period each time. I am interested in 2 things. I want to start a Sangha here in Jacksonville Florida and I am very interested in joining the Order of Interbeing. I am looking for a mentor for both of these goals. Hi, Kenley. I’m Vanessa. I am having trouble accessing the sangha directory. It appears to be down. I live in Ogden, Utah (about 40 minutes north of Salt Lake City), and I would love to practice with a sangha, and be an aspirant. I have read a lot, and I try to practice, but I’ve never been on a retreat or met with any trainer. It can’t find an active sangha in the Utah area. What can I do? thank you for your help. Hi John, Good to hear from you. I know that sangha opportunities in Utah are a little light but I also know they do exist. An OI friend, Bobbie, might be a good place to start. I’ll send her a link to this comment and ask her to respond. Thanks, Kenley. I look forward to hearing from Bobbie.